I’ve noticed a change over the last few years. There is more positive energy flowing along the roads and byways of this country of ours. Like a breath of fresh air. And no where is it more apparent to me than in, what I feel, is the least likely of places. Typically you go into a bathroom at a bar or a rest stop or a gas station and it’s rude comments, or people calling other people out for being a jerk (that’s a much nicer word than they usually use) or movie quotes or whatever. The tone was usually darker or mean. But I slowly started seeing a change over the last two years. And not just in one place, all over the place. West, North, East, South -the whole country. A little bit here and there, then more and more and more. But the first place that completely blew my mind was in Montana. 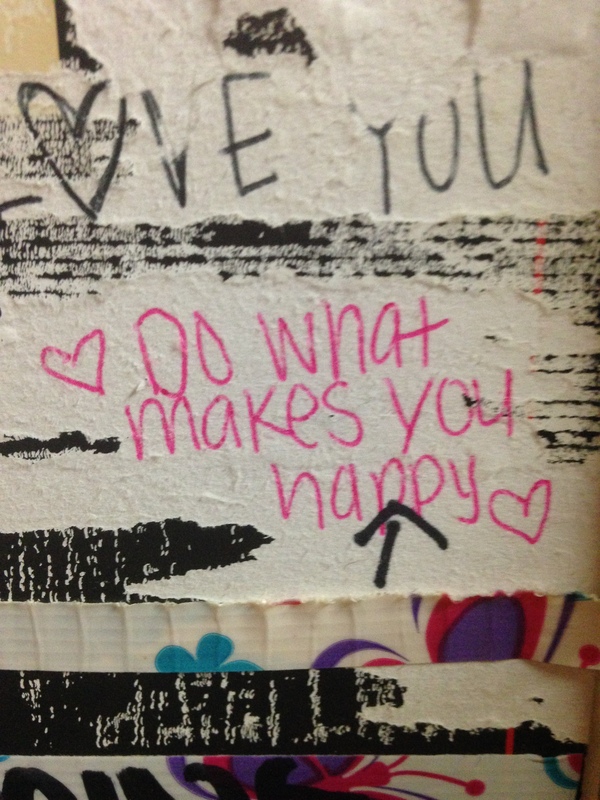 I went into the bathroom of a total dive bar, and, as was expected, the entire thing was covered in comments. But here’s the thing – Every. Single. One of Them. was POSITIVE. “You are perfect just as you are.” was written in the stall. On the mirror was “Wow – you are so beautiful today” on the other wall was a longer piece about overcoming adversaries to claim your true self. This totally caught me off guard. Especially in this place. I’d never seen a WHOLE BATHROOM covered in nothing but beautiful words. 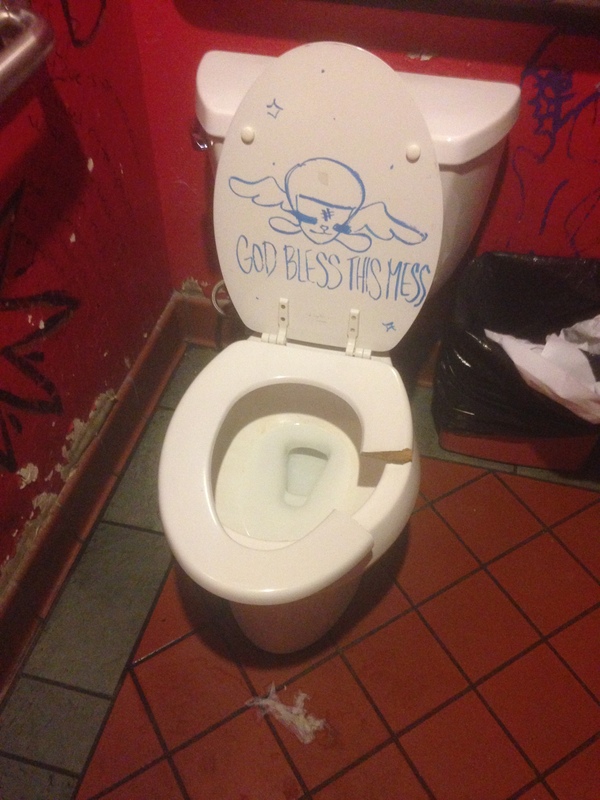 In a dive bar. All in different handwriting. Not one person, mind you. Many people. But it didn’t stop there. I kept noticing it everywhere. In every bathroom. And lets be honest here, you guys. When I’m on the road I use a LOT of public bathrooms. It’s become more and more common. Now I EXPECT to see it. I’m actually surprised now when I use a bathroom that has graffiti and I don’t see at LEAST one “You are Beautiful” somewhere. At least. You get me? There’s more likely going to be around five or six. What started in bathrooms is trickling down elsewhere as well – I’ve been noticing little bits of happiness on sidewalks, and at restaurants, at gas stations and grocery stores. Little positive notes all over the country. Notes that take real effort. And I love it. 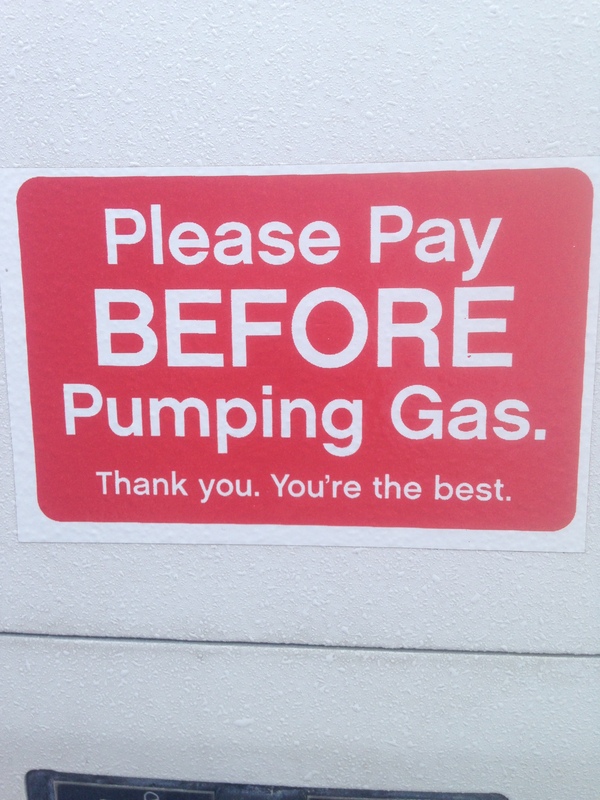 No – YOU’RE the best! Someone took the time to design, print, and pay for these. How amazing is that? 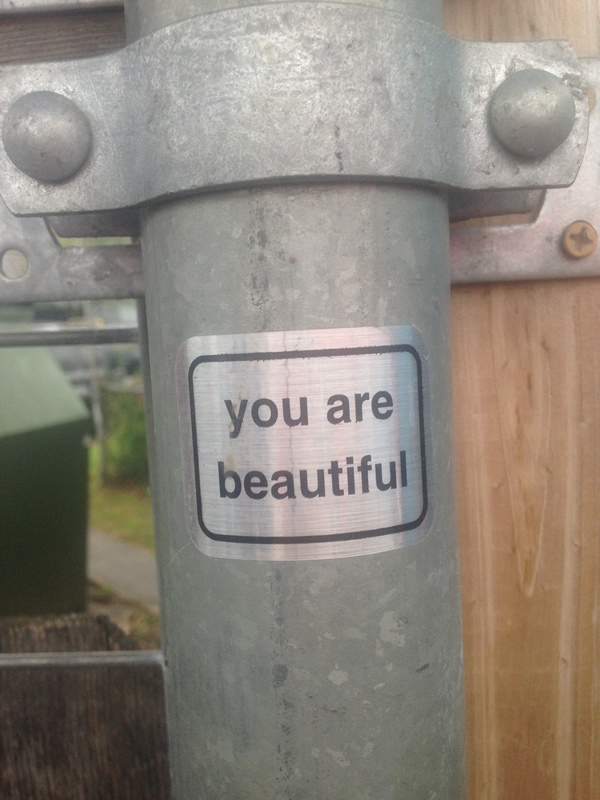 I very well may begin carrying a sharpie around in my purse just so I can help spread the love.